Our Spring quarter Community Ed hoop dance classes have come to an end. We are sad that they are over, but look forward to the warm summer weather and joining up with hoopers at the park for some real free flowing jam out sessions. Thanks to all the girls who participated and made our classes a great experience. We have really enjoyed our time together and made some great new friends! I (Colleen) am happy to announce I am almost 5 months pregnant, so I will most likely refrain from any more hooping commitments in the next few months to come, but that sure doesn’t mean I won’t be hooping for fun! Kayla will be teaching some kids hoop dance classes through St. Cloud’s Community Ed program this June and has lined up a few private hooping lessons as well. 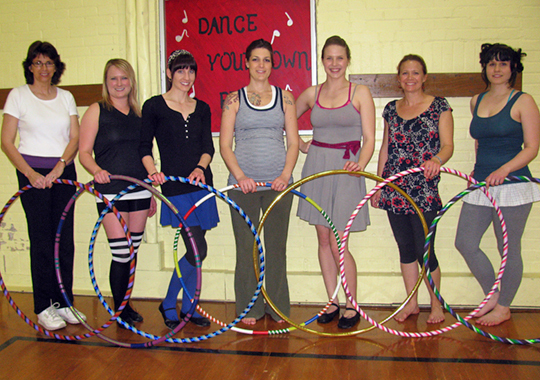 More info on the Kid’s Hooping Classes here! Pregnant – congrats! The hooping must be working as you don’t look even 1 month yet. Can hardly wait to see more photos as it gets closer. All the best to you! !